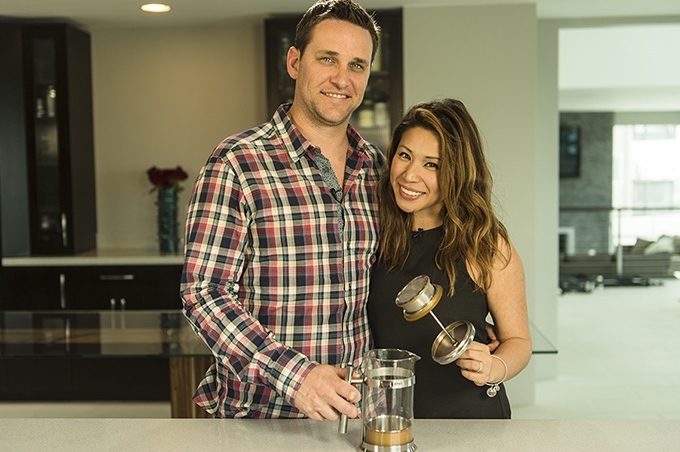 Coffee lover and inventor turns to Kickstarter to bring revolutionary beverage product to market. 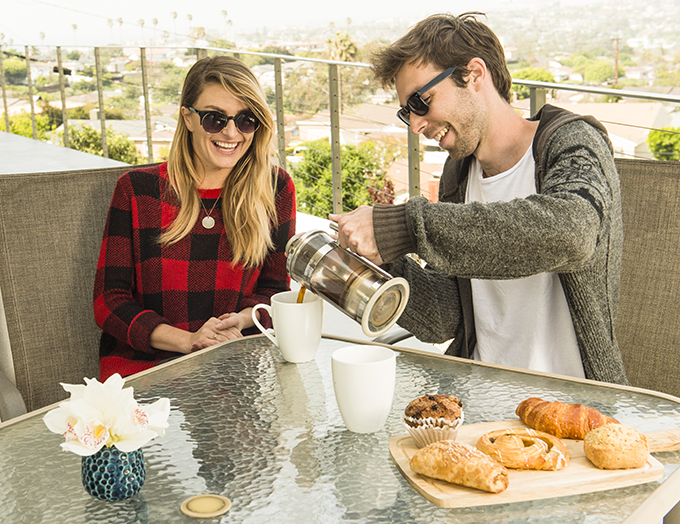 simpli press is French press without the Mess. Millions of North Americans buy gourmet coffee on their way to work every day. 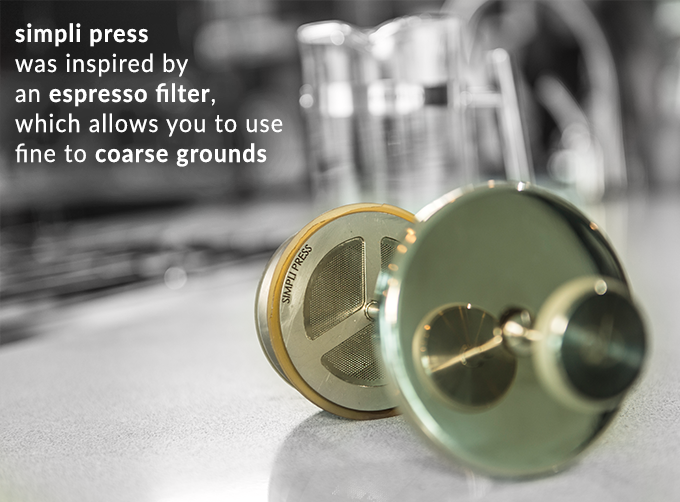 Now they can sleep a little longer and save money by making the finest café quality coffee at home, thanks to simpli press. 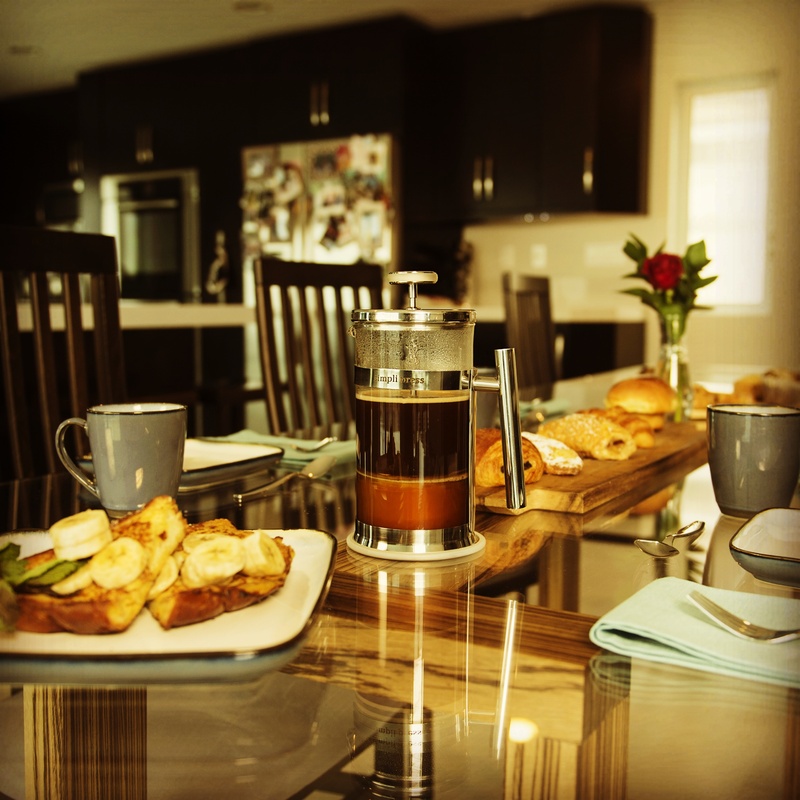 Consumers often ping-pong between coffee makers - from espresso machines to pour-over style, to French press. Ah, the French press. Everyone loves the taste, but not so much the time it takes to clean it. Problem solved, with the launch of simpli press on Kickstarter. 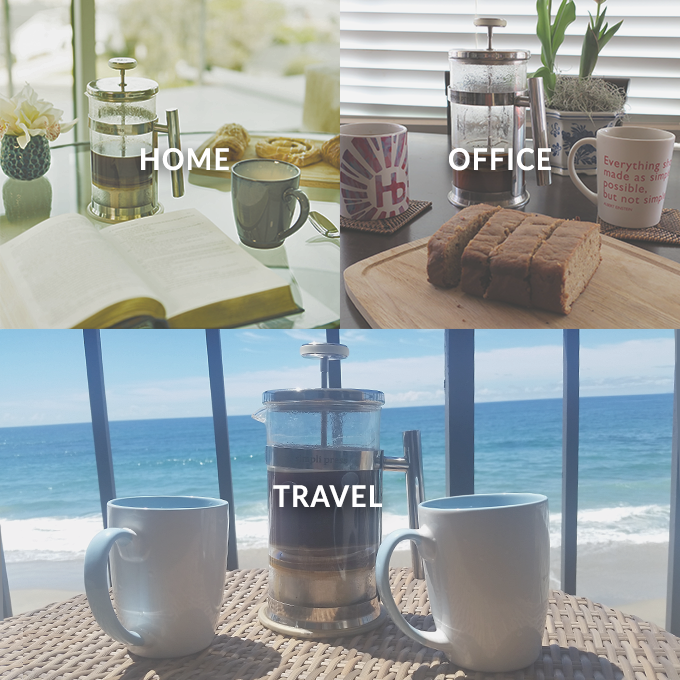 Inventor and self-realized coffee connoisseur Jenni Morse began her journey with simpli press two and a half years ago. Frustrated with available options on the market, she started drawing, fueled by passion and persistence but sadly not spectacular-tasting coffee from her current brewers. She knew she could do better. Today simpli press, with the help of its crowdfunding campaign, is poised to be the leader in the next wave of French presses because it tastes seriously, sophisticatedly good and it’s simple to use. Simpli press has the ability to customize grinds from fine to coarse to its optional paper filter. The fine to medium grounds create not only a smoother, more complexed brew, but also cuts the brewing time in half. Choosing only the highest quality materials, simpli press has no plastics that can leach harmful chemicals into your hot brew. 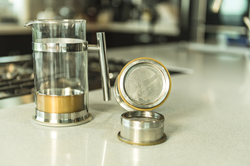 Most significantly, the revolutionary, patent-pending container boasts an easy-to-clean functionality that removes pesky sediments that tend to cling to French press brewers as a result of grainy grinds. “One of my favorite parts about the simpli press is that you’re able to lift the grounds container up along with the plunger. Then all you have to do is take it to your compost bin or garbage can, and tamp it out. 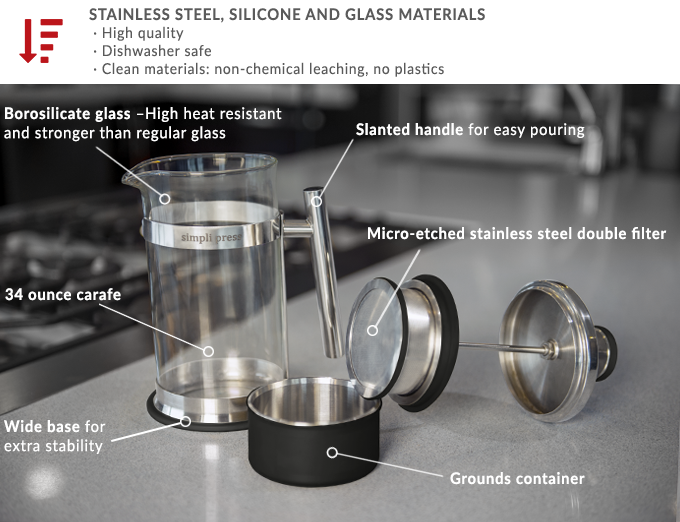 It’s all stainless steel, so you don’t have to worry about breaking it,” said Morse. 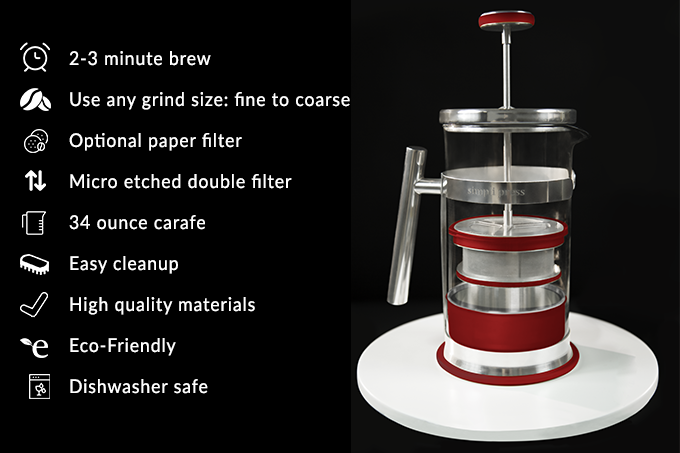 This winning combination of qualities was recently recognized in Coffee Fest Portland in October 2015 where simpli press handily picked up 3rd Place in “Best New Product” (non-consumable category). Morse has since continued to work with industry professionals from coffee scientists, to roasters, to baristas to perfect simpli press. Morse has self-funded the entire process to date, attending trade shows and sharing her product with anyone with taste buds that crave good brew. “The consumer and industry professional responses have been very supportive and serve as a strong validation that we’ve created something very special - so the journey brings me to the crowd, my fellow coffee lovers, to raise funds to manufacture simpli press and bring my baby to market,” added Morse. Jenni Morse comes by her inventor’s chops honestly. Her late father, was an inventor whom she credits with encouraging her creativity and business sense. He continues to inspire her. The loss was significant and was one of many life-altering experiences that drove her to take charge of her dreams and turn them into reality.